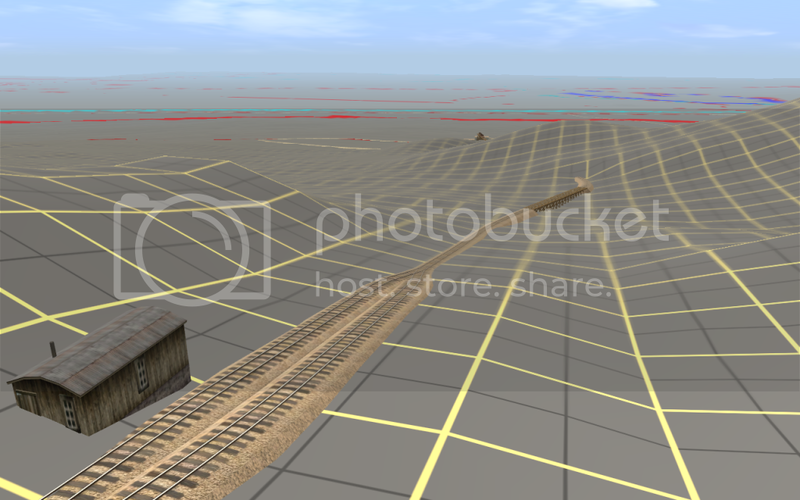 Good day everyone, I am currently working on a project for recreating some of the railroads in and around the Daggett/Calico area in the virtual world of Trainz Railroad Simulator to give people a view of what these railroads would've looked like if they've experienced it firsthand themselves. I am aiming for the highest level of accuracy I can get it doing what I can to match it up to photographs and reports I've gathered up about these lines. The first one on my list will be the Palm Borate gravity railroad, which was built in Sunrise Canyon on the far end of the Calico Mountains in 1908. Palm Borate owned a small-scale mining operation at the head of the canyon which mined about 7 cents per pound out of 6 claims in the canyon. The railroad they built was about 1 and a half miles long and had a high steel trestle bridge and tunnel built to traverse the treacherous canyon. It only operated for about 10 days before the price of borax dropped dramatically and the whole operation went belly up. 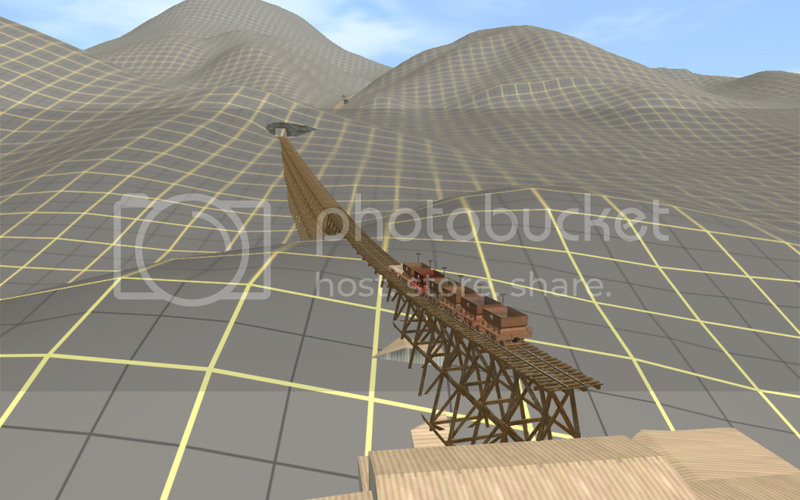 Based on various reference photos I've gathered up courtesy of Randy Hees (many thanks for that mate), and a TransDEM map including Daggett and part of the Calico mountains where Sunrise Canyon is (courtesy of CheckRail, a freeware Trainz site), here is what I have of the gravity line so far. More progress is to follow if the project gets enough support. This will not be the final look of the mill building as I am hoping to find better buildings that match the ones in the photos. Before anyone asks, yes I will be making the rest of the Calico railroads. The Borate & Daggett, Calico Railroad (with branch to Daggett and Lead Mountain built by American Borax Co.) and the Western Mineral Railroad at Bartlett will be next on my list along with Tonopah & Tidewater and Death Valley R.R., but first I must get TransDEM maps of the Calico Mountains and Death Valley before I can go forward with those, along with custom rolling stock and buildings to match the ones shown in their photos. If you would like to help contribute to the project in any way, it will very much be appreciated. Looks like a nice start! I'm buried under projects myself, but I wish you luck! That is a great project. 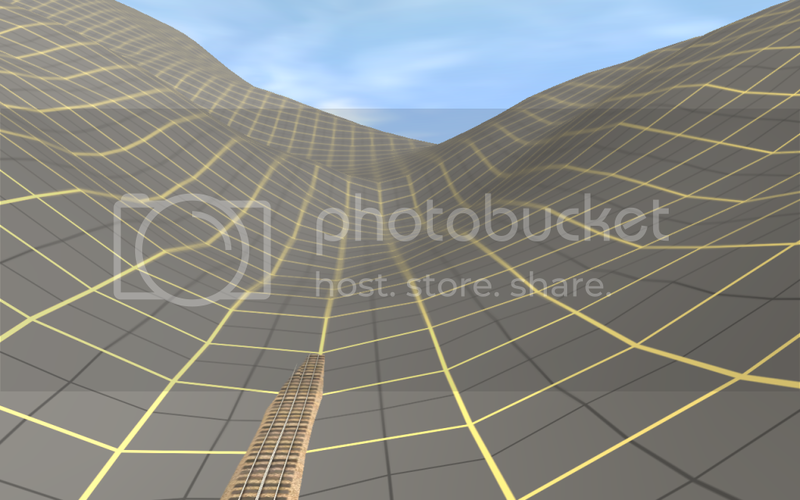 I've got some terrain textures coming out soon that you may find helpful. I've been photographing soil along the CA/NV border for several years now. Most of them are along the SPNG (one of the projects I am working on), but they will be generic enough for most desert scenes. My DLS username is: "Ferroequine", so far I believe I've uploaded the Mina NV (Yard) Dirt and Cortena (Colusa Jct) Ca Dirt to the DLS. 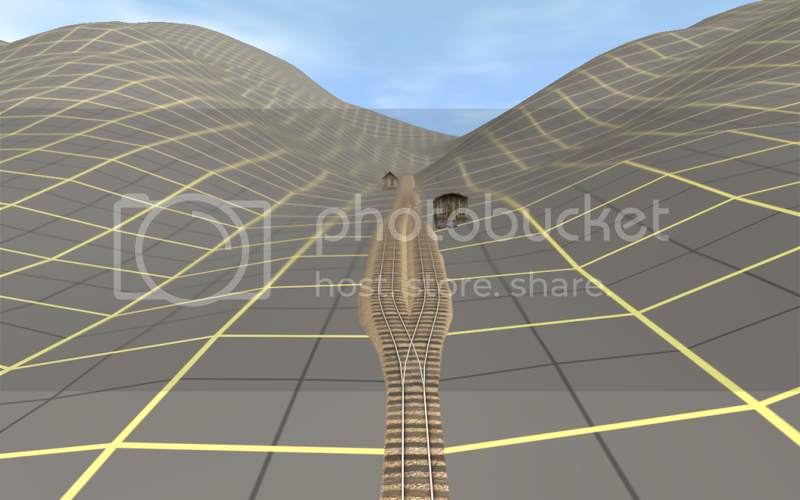 I will be working on some Trainz projects in the coming week and I'll see about getting the others uploaded. An End To Red Domes In Our Lifetime! Your route looks great so far! I look forward to seeing it as it progresses. 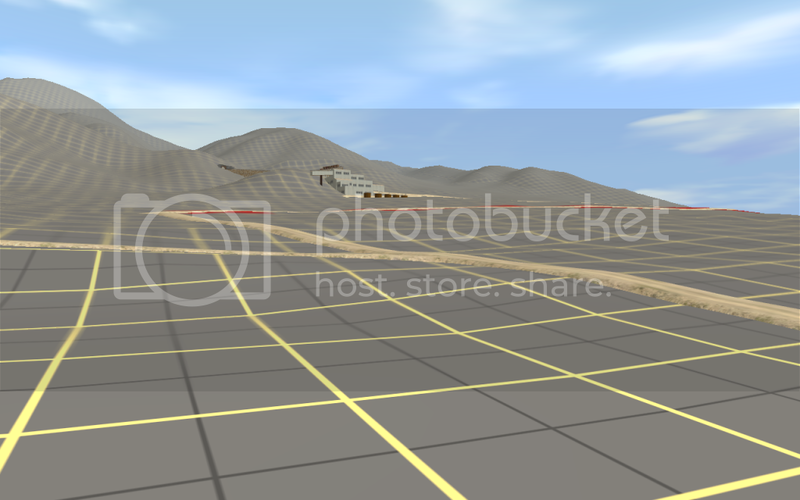 So far only: "Dirt - Cortena, California" <KUID:476027:100055> has been uploaded to the DLS. 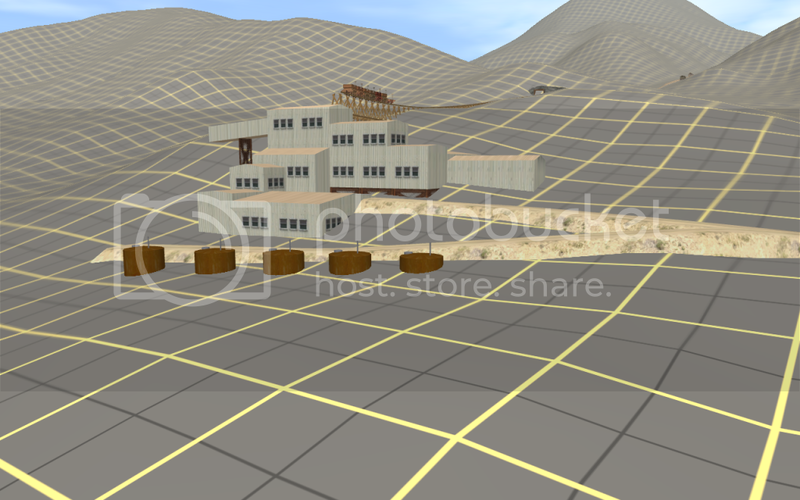 I had previously thought a few additional work in progress textures had been uploaded, but I was mistaken. Dirt - Cortena is intended for my Colusa and Lake project, but for some reason it isn't seamless. I will be working on correcting that and finishing up "Mina Dirt" later this week. Both should be available in the DLS by the weekend.